I was sitting down relaxed, drinking my green tea, googling myself like all writers do to see if there is anything going on with my name and books that I am not aware of. You know, the usual protect yourself against trolls day. Remember, I am on my summer vacation. The goal for me this summer was to take some time off of social media to write. Unfortunately, I’ve come to the conclusion, that I cannot. Unless I become a monk and have no internet access, it is impossible. Every morning I wake up and work on my various projects. I am in the process of editing Love & Metaxa, but I will get to that later. Out of the blue I see, “Love & Metaxa free read” “Read online Love & Metaxa ebook by Christina Strigas” “Title: Love & Metaxa Author: Christina Strigas, PDF Read, Free Download [Science book]” “[art book ]Free Download Love & Metaxa/ by Christina Strigas” “Download PDF/ePub eBook Love & Metaxa” – “Ebookers -love-metaxa” pop up on the screen….on and on….claiming it is “a chapbook to be released soon.” I read some of the links, which were the same write up I had done for Goodreads. Goodreads is the only place I uploaded the cover art and I wrote three sentences that eighteen links copied and claimed it! I was in shock! I was staring at my computer screen in complete horror. What the heck was going on? What manuscript of Love & Metaxa were they selling when I still had mine on my computer? I clicked. I clicked on the link, which led me to the exact same photo from Goodreads and the blurb that Love & Metaxa is to be released soon. “Read it here.” One site claimed it had 307 pages and another 174, all these different numbers of pages. All the sites made you click onto another site to pay. Theses are sites trying to scam readers into downloading my ebook and tons of other books by other authors on their websites to become a member of some site called “moviepin.” They want you to pay a subscription fee and suddenly you get a pop screen that you won a Samsung galaxy! Just enter your information and get hacked or get a virus through your email. A phishing scam. There were even Amazon and Kindle words being thrown around as if they were in charge! 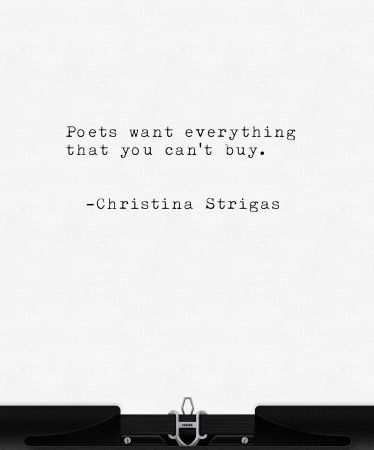 My amazon link was on the page, but not linked just typed up with some cartoon photo of me, Christina Strigas. In another link the sentences did not even make any grammatical sense. They were repeating themselves over and over. Read Love & Metaxa. I called my brother who is an IT specialist and he said “you can’t do anything, except call anti-fraud Canada,” which is exactly what I did. I made a claim and reported each link of Love & Metaxa by Christina Strigas to the government and they said they would further investigate. I also reported these links to Google phishing : “Report Phishing Page” which took me over two hours to individually report each link. All these sites took most of the information from Goodreads. I had uploaded the cover art in 2017 because back then I had a publishing company, Mad Wolf Publishing, who was going to publish it, but after the first round of edits, I was not satisfied with what they did to my poetry. Actually, I was mortified. I had paid that company to get it edited and then reverted it back to my original manuscript. What a waste of time! I showed my friend and editor, Alexandra what they did to the edited version of Love & Metaxa, and she could not believe it. She said, “they dumbed it down.” So I started over. I added more poems. Suddenly it wasn’t a chapbook anymore. It started to grow into a poetry book. Goodreads link to Love & Metaxa which false manuscripts circulated. They could have easily taken my image from my Amazon link : I have an Amazon page: my Amazon Author’s page with my photo and information. Love & Metaxa was originally a chapbook. I wrote most of it in forty-eight hours in 2017. During the Fall of 2017 when Alexandra Meehan accepted to be my editor, she worked hard for months to get me to write my best work. Her skills as an editor, assisted me in improving my thoughts and impressions. We have finished the first major rounds of edits, but it is not completely done. Only last month, I added three “positive” poems. Love & Metaxa is a dark book of poetry. These sites are claiming it is a [science book] and an [art book. ] It just floors me that there are links to “read Love & Metaxa by Christina Strigas” when I am still editing and adding final poems to it. Granted, it has taken me a while to rewrite and edit my book since I first uploaded the cover art on Goodreads, but still as a writer, I need to protect my name and reputation. The internet is a war zone. Writers have to protect themselves and search on the internet what other people are stealing or copying. I know they don’t have my book, Love & Metaxa, but what exactly do they have? Apparently, no books. Only viruses or a scam to steal your identity. There is an interesting article about ebook download scam by Randy Cassingham this is true is an excellent article about the ebook download scam. My brother even said, “People that would actually go on these sites to download ebooks illegally are not your real fans. Your fans know when your book is coming out and that you are still writing Love & Metaxa. Also, take it as a compliment. You’re popular.” If I looked at it from that point of view, I could shrug it off, but I’m neurotic and so I keep looking and reporting these links until I no longer ever see them again. I keep trying to understand how the internet is such a force and how people can manipulate your name and take advantage of your popularity by illegally scamming people. This is such a shock and I feel that it is necessary for me to share my experience with you, my readers and my fellow writers. Research your name and books to see if this is going on with your published work. Report these links and sites. There is a site called Blasty that you can become a member of that will research any illegal downloads of your books. There is a free plan, click here: https://www.blasty.co there is also a paid plan. This site helps you monitor your content online and removes illegal downloads with one click. I am supposed to be writing and working on my projects before my beach vacation, but instead I’m forced to protect myself from bootleg scams of Love & Metaxa that don’t even exist. Is it this easy to scam people? Read a book that is “coming soon” by clicking here when the author has not even finished writing it? I could imagine something like this happening to J.K Rowling, but to me? And for a poetry book?! Heck, we poets don’t even make any money, and now these sites are making money off of our books. How unjust and illegal. Please do not click on any of these links that have pdf documents of Love & Metaxa by Christina Strigas. I will keep you posted when I am finished Love & Metaxa and when it will be published. Thank you so much for your support and understanding. Leave me any comments and I will get back to you as soon as I can.